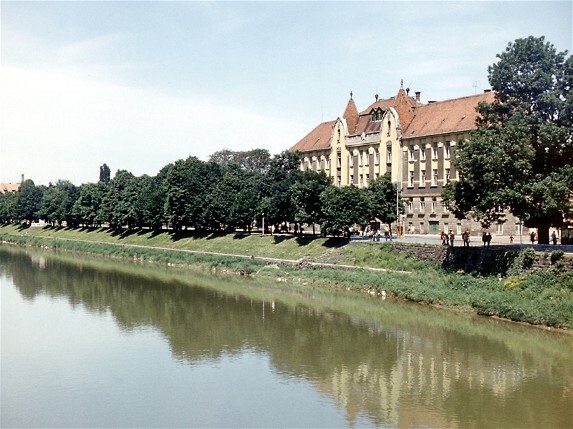 Uzh River [Už]. 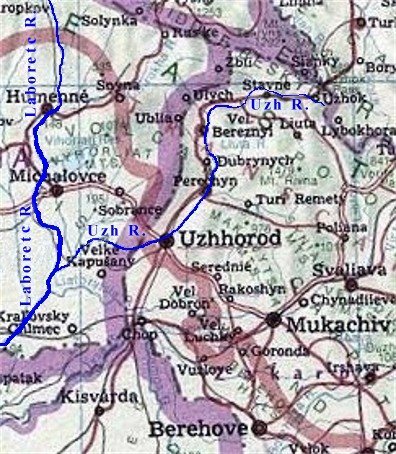 (Map: Uzh River.) A left-bank tributary of the Laborets River that flows for 133 km along the Tysa Lowland in Transcarpathia oblast and western Czechoslovakia and drains a basin area of 2,750 sq km. It has a valley 2–3 km wide. It is used for industry, water supply, and irrigation. A hydroelectric station is situated on it. Sources of mineral water are found in the river's basin. The city of Uzhhorod is located in its middle reaches.